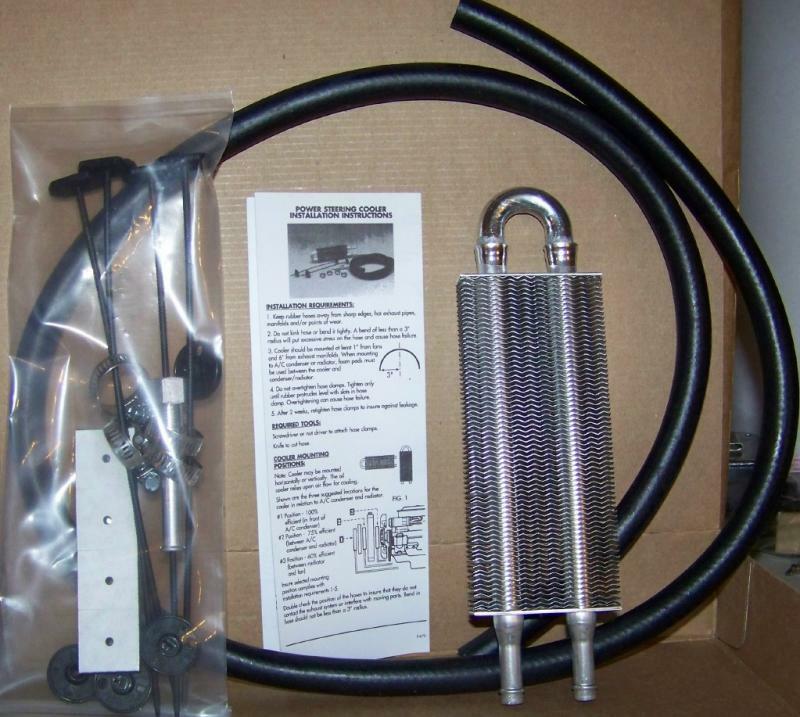 This power steering oil cooler removes destructive heat generated within a power steering system, especially in vehicles with large tires such as, motorhomes and off-road vehicles. Installation of a power steering oil cooler will prolong the life of the system’s pump, hoses, and seals. Vehicle with 3/8" I.D. Power Steering Return Hose. Avalable in three sizes for medium to heavy duty applications, our high performance cooler is designd to provide outstanding cooling, as well as to complement other high performace accessories. SAE 45 degree fittings for maximum reliability all aluminum lightweight construction electrostatically powder coated to prevent corrosion. Up to full size vehicles, towing up to 2,500 lbs. 1. DO NOT use transmission oil coolers for engine oil applications. Engine damage may result due to flow restrictions. 2. For extreme cold weather conditions(20 deg -30 deg below 0), recommended installation includes a #163 thermostatic bypass kit. Up to Class "C" Motorhomes, towing up to 5,000lbs. Up to Class "A" Motorhomes, towing up to 10,000 lbs. 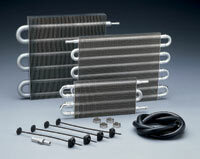 We have an assortment of coolers for your vehicle needs. Below are our available products.